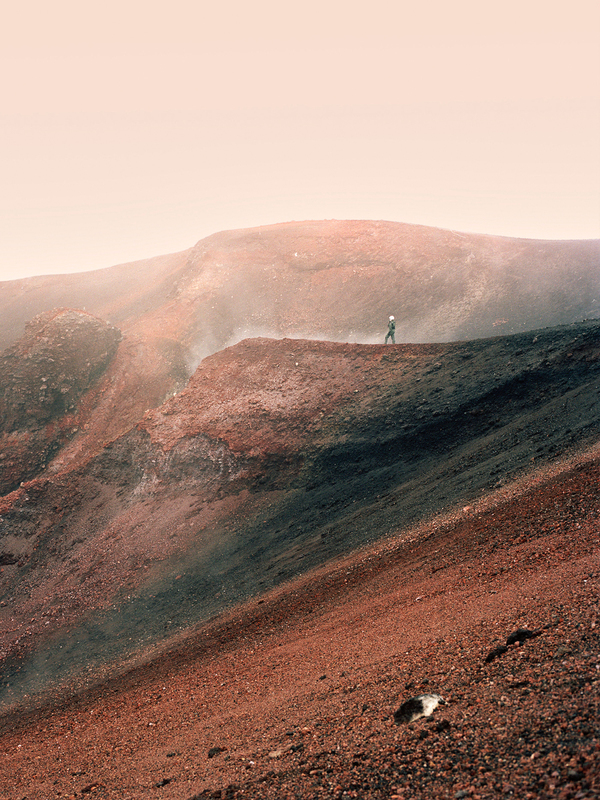 My First Dream is the project by Italian photographer Diego Brambilla which first drew our attention to him. His blur of distinction between the real and the impossible, the imagined and constructed, plays out with cinematographic results. The first time I heard about Jonny Briggs, was in a lecture at LCC (London College of Communication) when I was an MA student in photography (not a long time ago actually). I was late and when I entered the theatre I came across a picture of a man in the woods wearing a pink prosthetic head mask. 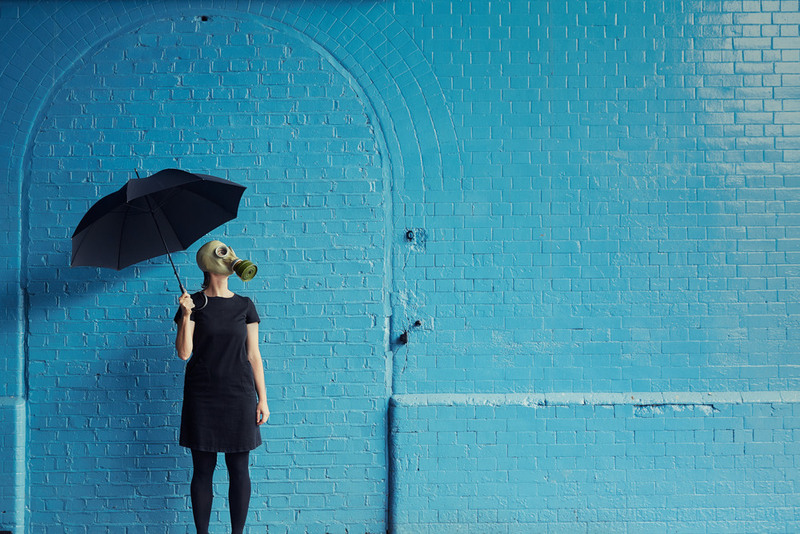 My immediate response was really positive: “someone who combines photography and conceptual thinking in an intriguing and very appealing way.” During that period, I was struggling with my project, challenging myself outside my comfort zone. As a result, I had started questioning photography and my place in it. Listening to Jonny’s lecture, I realised that it wasn’t just a single picture that drew my attention. His exceptional practice inspired me regarding the staging aspect of photography. I was fascinated by his attitude to use the cartoonesque and the performative, but in a simple way, often using his parents or himself as actors. His lecture encouraged me to trust myself, even when an idea seems strange and nobody seems to find it interesting. He made a picture of an entire sculpture made with excrement. I kind of love it. 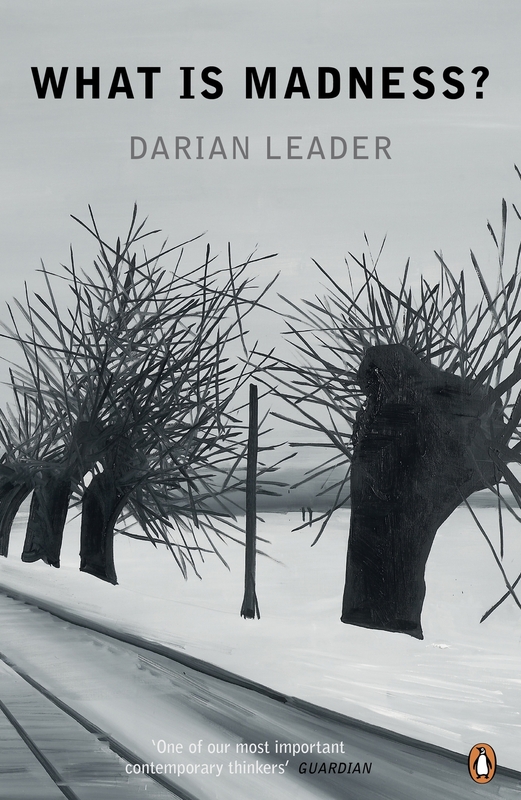 I have long-connected with psychoanalyst Darian Leader's immersive and entertaining case studies and stories, which, when spoken in his public talks, remind me of being read a bedtime story. Darian is softly spoken, and entertains thoughts without imposing rigid views, creating an arena of acceptance that sparks a playfully open mindset when I listen. At Barbican Gallery’s Surreal House exhibition, Darian voiced an insightful observation that the words people use when their homes are broken into are startlingly similar to when their bodies have been violated. The blurred boundary between self and environment, the home as a metaphorical body, has fuelled many ideas within my practice. In his book ‘Stealing the Mona Lisa: What Art Stops us From Seeing,’ Darian speaks of when the Mona Lisa was stolen from the Louvre, more people went to see the empty space than when it was actually there. What does this tell us about what we look for in an art piece? Perhaps one way we can look at the history of art, is to look at the history of different ways of leaving something out of an image. In many ways, my practice feels like a self-psychoanalysis; beyond being an interest, it’s an interest in my interests, and provides an arena to have a conversation with myself. I think we are in a privileged position to be able to ask the question ‘what’s my mind telling me?' and this is a question Darian encourages me to ask. 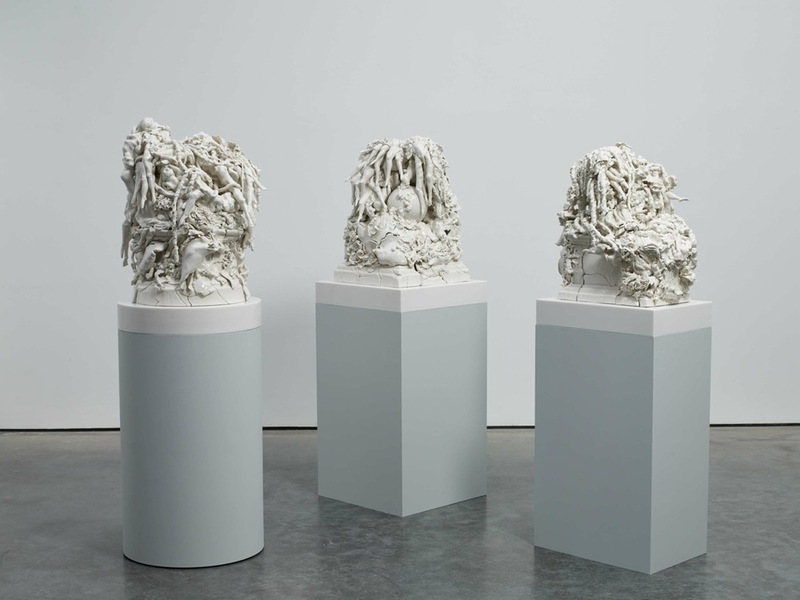 I visit Rachel Kneebone in her studio every few weeks to look at the sculptures she is working on and chat about making and creating. Rachel is a natural. Where so many artists today try cynically to play the market and come up with a product, Rachel just follows her hands. They do things she doesn't anticipate and the works always follow their own course, their own logic. The results are remarkable, fusing the organic with the inorganic, the formal with the informal and the broken with the unbroken. 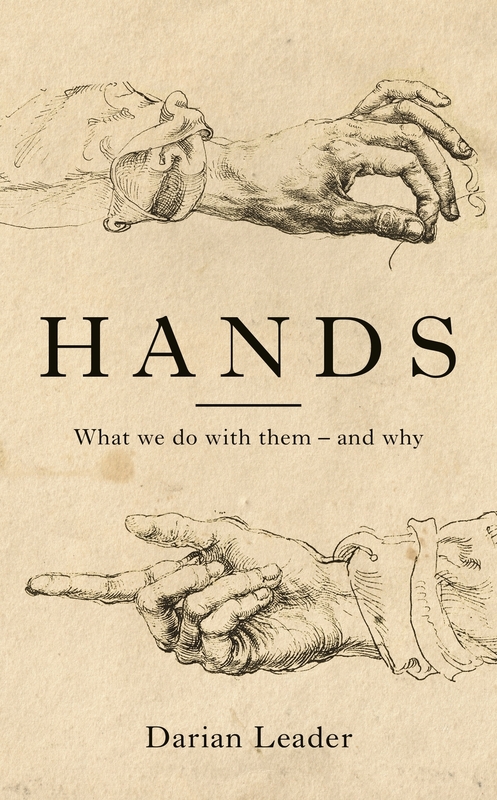 There is a deep engagement here not only with conceptual issues and art historical problems but with life itself, and what it means to inhabit a body. She is currently making a series of works inspired by Gericault's 'Raft of the Medusa', showing a packed concentration of bodies on brittle, fractured bases, evoking both the horror of migration and the loss of foundation it involves. There are also new works drawing on Ovid's 'Metamorphosis', exploring the process and pain of physical and psychical transformation, something that is really central to Rachel's practice. Her work is never easy to label or describe, and people are always trying to find a formula to encapsulate it. But the sculptures themselves are about how boundaries fail to contain, and that is perhaps one of the reasons why containing them in categories is so tricky. But Rachel is no mystic - she riffs around the work in so many different ways, never taking the escape route of devaluing speech. When I leave the studio, I'm thinking about her sculptures and the words we use to talk about them and the essential difficulty of putting into words, themes which make me engage with my own work as a psychoanalyst in a renewed way. Image of Rachel by Anton Goiri. Images of her work courtesy of the artist and White Cube Gallery. Photography Stephen White. Whenever I am making a sculpture and I hit a point of uncertainty about what it wants next/what the next step wants to be, to be concise: when I am stuck and I’m not sure what to do, there is a strategy/technique I employ. I move myself, or I move the work to a new place, in the studio, and look again, experience the same work from a changed position. To view the same thing but from a different perspective/space, and I see/know it refreshed (and am unlocked- ‘unstuck’). I have chosen Ali Smith as my inspiration. The act of beginning to read a work of Ali Smith is to make this movement, to change perspective of what is familiar and known. To experience the world from a different place and register what you know as new. Whenever I read Ali’s work, I often have the sensation of feeling I know that (to be true/to be how things are) but I didn’t know you could say it like that, that those were the words to use and in that order to make that sense. To me this is a form of magic, a renewal of the world of how things are without making it alien or strange. Like a freedom to experience what is true that comes only from being grounded in reality. A permission to reinvent, renew, to form a new order/meaning, out of the known. Fresh eyes. I think Ali is a pioneer. Through writing she makes a space, opens things up for us to inhabit. It’s about looking, active not passive. Ali’s writing is a reminder that there is always another way, another approach to what you consider ‘known’. Reading a book creates a space. The book is in your hands, and it imposes a distance through a narrative. You are reading ‘about’ something. But by being at arm’s length you come closer to it, as it is carried from your hands to your eyes to mind. In this active movement reading becomes a physical experience. Some of this is about form, how words are set out on the page, the scale of the letters, capitals and lower case, moving one to the other, emphasis, zooming in being pushed back. And speed, some pages have fewer words – quicker to read. Some are densely packed, pace is slowed. Sometimes the text snakes across or spirals upon it, how to occupy space on a page. There is a physicality to language and words. However, form and content are not isolated, how you say things makes the meaning. There is an authenticity and integrity to both, from and through making, constructing and building words as a raw material. Like clay. A process of linking, collisions, a collage made from bolting things together whilst setting them free. This makes what is ‘experimental’ feel ‘proven’ from/by the act of writing. It is about doing. There is an expectation that to ‘write it down’ means to fix it, make it static, Ali shows that things are never fixed or static, but always moving, in a state of flux. Kabe Wilson's astonishing, funny, shining, risk-defying, literal metamorphosis of Virginia Woolf's A Room of One's Own into the visual artwork / brand new book, Of One Woman or So by Olivia N'Gowfri, which I finally managed to see in a rare viewing in its full unrolled form, all along one wall at an exhibition called The Reading Room at Cambridge UK Artworks, left me reassembled myself, glad of a world in which everything creative can unfix into even further fruitfulness and seminal manifestation. Its wittiness, sentence to sentence, actually meets Woolf's own; its rhythmic qualities and tonal dimensionality are stunning, and its unique take on what it really means to open a book is one of the most inspiring things I've ever seen.